(CNS): Government’s derailed plans to sell off the country’s waste water system were apparently back on track Tuesday when a newly formed technical committee met with government officials from the ministry and other agencies to look again at the bids which have been waiting for several months to be reviewed. CNS understands that a number of conflicts of interest arose with members of the previous technical teams having direct connections to the bidders and others resigning for undisclosed reasons. The UDP administration has cited the privatization of Grand Cayman’s sewerage system as a public policy priority but the process has been littered with what the premier has often called stumbling blocks. Government first asked for expressions of interest before putting out an official request for proposal (RFP), in February 2010, but received few takers and soon after toyed with the idea of selling or leasing the entire Water Authority. However, in the face of opposition and concern that selling one of the government’s most profit making assets might prove to be a short sighted move, among other unspecified problems, it reverted back to selling the wastewater management system as a separate entity. An official full request for proposal was eventually published in October 2010 and legislative changes to facilitate the sale were passed in December of the same year. Since then, however, the first technical committee convened to examine the ten bids submitted during the RFP process, which closed by the end of last year, was disbanded. It was understood that the chairman became the first member of the committee to be conflicted and resigned. He was replaced soon after his departure but then another board member was reportedly also found to be conflicted — the details of which have never been disclosed. Shortly after that it is understood that all members of the technical committee, including the new chairman, resigned — which has also never been explained — leaving the bids in limbo. CNS has contacted the ministry on a number of occasions about the problems plaguing the technical team, why the previous committee resigned and what the conflicts of interest might have been, but we are still waiting for answers to the questions. The role of any technical committee in a government procurement or sale is to examine all the bids based on the RFP documents and the technical elements and then make recommendations to the Central Tenders Committee, which in turn ensures the selection provides value for money for the public purse. Since the last technical team departed in the middle of the reviews, the bids have been left hanging until Tuesday morning, 7 June, when a new technical team reportedly met to begin looking again at the bids. Government is understood to be looking for at least CI$20 million for the sewerage system, which was valued by HSBC back in 2009 as part of the government’s bond offering at around US$23.3m. KPMG is understood to have undertaken another evaluation in April last year when it valued several of government’s assets but that document has never been released to the public. Whoever eventually buys government’s sewage will be expected not only to manage and operate the existing system but to make investments for future improvements under an exclusive twenty-five year lease. Aside from complying with all applicable local laws and regulations, the successful bidder will be required to satisfy all insurance, financial, and bonding requirements as specified in the RFP document; have no less than ten years prior experience with providing wastewater services for public authorities for systems serving at least 60,000 people, and demonstrate their ability for independent financing without the need for government guarantees. (CNS):International open water swimmer Penny Palfrey is poised and ready to begin her world record breaking marathon swim on Thursday despite the potential rough seas. Palfrey will be swimming from Little Cayman to Grand Cayman in less than favourable weather and what are likely to be seas with wave heights reaching as much as six foot – not to mention sharks. The long distance sea swimmer will be departing Little Cayman at 3am with an estimated arrival time on Grand Cayman somewhere between 12 noon – 8 pm depending on the weather and other circumstances. Palfrey will be supported by a crew of experienced mariners who will be working day and night to get her safely between the islands in the unprecedented swimming feat. Steve Munatones, the advisor on the team supporting Palfrey on her ocean marathon said the weather may be a bit unsettled but the ocean swells and with the winds behind her this could help. “The start may be dicey, the finish will be difficult and the mid-channel will be no better, but this is what we all signed up to do,” he said adding that Palfrey was ready to go. 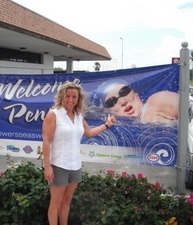 On Monday, in a practice swim, Palfrey broke the existing record when she swam between Cayman Brac and Little Cayman through the open waters of the Bogue channel. She completed the five mile stretch in 53 minutes and 28 seconds, Muntones revealed. During her swim between Little Cayman and Grand Cayman Palfrey will be fed and watered via a special feeding stick if the waters are rough. As she swims her team will be on board both jet skis and kayaks and a primary support boat will also be nearby. As well as getting food and water to her, they will be able to offer medical assistance if she needs it. One of the kayaks will also be dragging a heavy shark shield behind Palfrey to keep away unwanted swimming companions. If Palfrey completes the massive non-stop marathon swim without assistance (other than being fed etc) she will not only be the first person to ever swim between the two islands but it will also be the longest open water swim (recorded) in history. 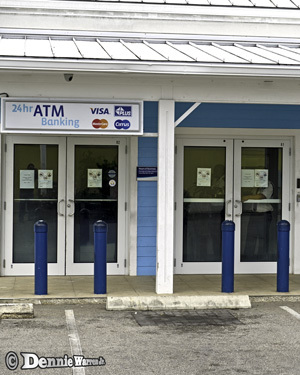 (CNS): Two armed and masked men made a brief and apparently half-hearted attempt at entering the Cayman National Bank at the Countryside shopping village in Savannah this lunchtime. Sources tell CNS that the two suspected would-be robbers attempted to open the bank's external doors at around 12:20pm but pulled on the wrong set. They discovered that the door they had selected was locked but neither of the armed men attempted to open the second doors, which were, according to witnesses, unlocked. 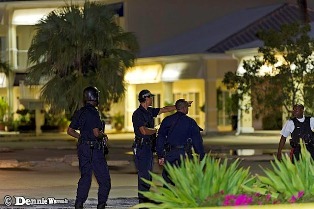 On seeing the security guard approaching the doors, the men reportedly fled the scene on foot. Although police stated that the doors had been locked by the security guard in a simple security precaution at the time the two armed men dressed in black clothing approached the bank, it is understood from witnesses at the scene that one set of doors was still open. Fortunately however, the robbers selected the set which was locked and then made their escape. 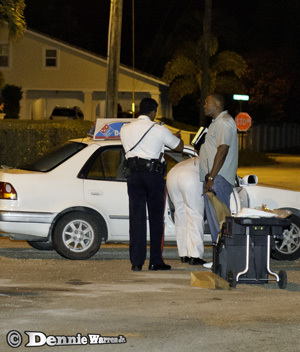 No shots were fired and no-one was injured in the incident. Anyone with information is asked to contact Bodden Town CID 947-2220 or the confidential Crime Stoppers number 800-8477 (TIPS). 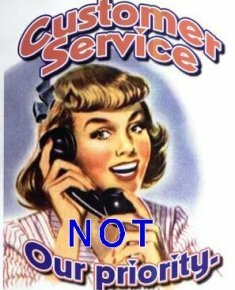 (Bloomberg): Americans are fed up with bad customer service, with 64 percent walking out of stores due to poor assistance and 67 percent hanging up on a call before their problems are even addressed, according to a new survey. The most annoying gripe is not being able to get a person on the phone, followed by rude salespeople, according to findings from a Consumer Reports survey issued on Tuesday. The findings are based on a phone survey of 1,010 adults conducted in March. The margin of error was plus or minus 3 percentage points at a 95 percent confidence level. 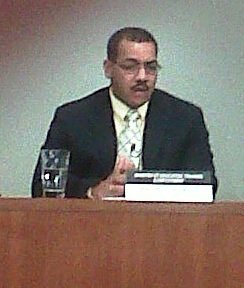 (CNS): The education minister has pointed to the lack of input from parents and families as part of the problem of poor achievement among Cayman Islands students. Rolston Anglin said that what happens at home has a significant influence on what happens at school and families need to be far more involved in their children’s education, from making sure they arrive at school on time to assisting with homework. Anglin described parents as the “missing link” in the goal to improve standards and said the cultural perception that parents clothed and fed their kids but then sent them to school for someone else to teach had to be addressed. Speaking at a press briefing on Monday morning, where the minister and his chief education officer, Mary Rodrigues, revealed the details of an advertising campaign that has been running on TV, radio, in the print media and on supermarket flyers, the officials spoke of the need for the wider community to value and support education. “We need to ensure that we recognize, as a society, that what happens at home influences what happens at school,” Anglin stated. “For years in Cayman we've talked about how low the attendance is at PTA meetings and the low involvement of parents in education.” He said it was the same faces that always came out to support the school but he wanted to widen the participation. The minister added that the bright kids in the system as well as those who faced challenges were also under achieving. He said the community couldn’t just blame the education system without looking at what was happening in the home. Anglin stated that while school does what it can to remove barriers to learning, it had to do it in conjunction with society, the community and the family. In an ideal world the minister said parents should get on board in more meaningful way where they monitor and push their kids. He said rewards and treats should be tied to good grades as well as ensuring home work was done properly and on time. The minister said all parents needed to keep up with what goes on in their children’s classrooms. The minister acknowledged that there were difficulties for some parents who had not achieved the level of education necessary to help their children with the content of their studies but, he said, they could still be supportive and encouraging, and said he didn’t agree that poor levels of education among parents was an excuse not to be involved at all. Even if, like his own parents, they couldn’t help with quadratic equations, he said they could encourage their children to study and ensure they set aside time at home for school work. He said the lack of parental involvement in children’s education was the significant missing link in the progress towards higher educational achievement. Describing the problem as a cultural phenomenon, he said too many people believed parents sent kids to school to be taught and they played no part in this. As parents their job was to clothe and feed their kids, and the job of teaching them was down to the school. He said the concept of learning was missing in Cayman’s rapid development. For too long parents were left behind and society had expected kids to learn despite what is happening at home, the minister stated. “We need to come up with new approaches to support parents,” Anglin added, pointing to the parent seminars that have started at John Grey which he said would be expanded and improved. He also noted that schools too had to learn to communicate with parents more effectively as parents also complained of a disconnect between them and the schools where their children attended. The failure of the community as a whole to value education was showing up in the country’s unemployment, underemployment and crime statistics, the minister said but it was time to turn things around by involving the wider community, raising awareness and promoting the concept of education for life. Rodrigues explained that the campaign, which started in April and will continue through June, was designed to build the public awareness and inspire action within the community. “We need to ensure education is front and centre and important to everything that we do as a society,” she added. The advertising campaign is focusing on different elements, with TV and radio ads promoting parents involvement, importance of literacy, early childhood education, lifelong learning and the importance of educators. Rodrigues stated that several different people had recorded messages for the ads, including the Speaker of the House, Mary Lawrence, herself a former teacher. The education minister and the premier were also expected to record ads shortly, she said. (CNS): The author of a controversial, but critically acclaimed book about tax havens, has taken on the Cayman Islands Stock Exchange chairman and his spoof book award and selected the Cayman Islands Crisis Centre as the recipient of the $1000 donation. In an attempted sarcastic swipe at the author, Anthony Travers had awarded Nick Shaxson the inaugural stock exchange book prize for the “Fairytale” category for his book Treasure Islands which came with a $1000 donation to a local charity. Shaxson took a swipe back at Travers stating the award wasn’t big enough but nominated the Cayman Crisis Centre to receive the cash. CICC Board Chair Len Layman offered his thanks to both men and said it would be spent wisely. “I would like to thank Mr. Shaxson for choosing the Centre as the charity to receive the proceeds from this spoof book award as well as to Mr. Travers for the award. While the debate which Mr. Shaxson and Mr. Travers are having is bringing the eyes of the financial world on the Cayman Islands we, The Cayman islands Crisis Centre, welcome the much needed donation and hope that it will also help to bring awareness of the plight of victims of Domestic Abuse worldwide,” he said. “We can assure both of these financially savvy individuals that the money will be well spent, helping to serve the needs of victims of domestic abuse and their children here in the Cayman Islands. On behalf of the Board of Directors and the clients of The Cayman Islands Crisis Centre I say, "Thank you both." Travers made his announcement in a press release last month where he criticised Shaxson’s book as a “work of intricate speculation,” where the author managed “to layer mischaracterization on misrepresentation on half truth and omission to create a fabulous tale of exuberant derring-do without feeling the slightest obligation to resort to the research or evidence presented by the IMF the OECD, IOSCO the FATF or indeed the US General Accountability Office,” the stock exchange chair said about the book. CNS contacted Shaxson who said he would be electing a charity but said he was disappointed that Travers was only prepared to part with $1000 and urged him to multiply it by ten. On his own website Shaxson defended his book and challenged Travers to outline what it is that he specifically thinks is “actually factually wrong in Treasure Islands,” as he accuses Travers of “Vague mudslinging without stating clearly what Shaxson got wrong. As the war of words between Travers the former chair of Cayman Finance and Shaxson and his other colleagues at the Tax Justice Network and Tax Research UK, brings internaiotnal publicity to both Shaxson’s book and the Cayman Islands finance sector at least on this occasion it has given a local charity, a welcome if small, donation as well. (Daily Telegraph): Around 5,000 offshore account holders who failed to let HM Revenue & Customs (HMRC) know about their overseas savings are being written to in the latest stage of the crackdown by the UK Government on tax evasion. HMRC has sent letters to those who hold offshore accounts but did not reveal details of them during the amnesty between June 22 and November 26 last year. Since the Revenue has obtained information on account holders through a number of banks, savings institutions and as a result of the European Savings Directive, tax evaders are running out of places to hide. Expats may have legitimate reasons for having an offshore account, perhaps to build up savings for a rainy day, or retirement, and others may be using them as an easy means of accessing their retirement income. For example, anyone being paid a UK pension would need to have that money remitted somewhere, and it could be that these pensioners are unwittingly falling foul of the disclosure rules. Gary Ashford, a tax investigations director at accountants Grant Thornton, said those who receive a form must send it back to HM Revenue, "which will use this information to verify an individual's reply and either let the individual off or apply penalty tax accordingly". Police reported that the armoured van was parked outside the supermarket at about 11:40pm. 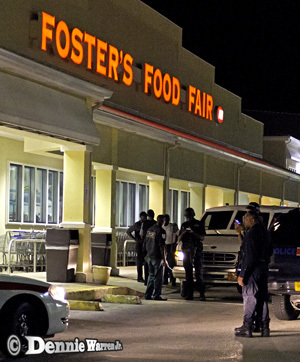 The security officer who was on duty within the shopping area saw three masked men all dressed in black at the back of the Fosters building. When the men saw the guard one of them pointed a gun at him before they all ran off but a shot was heard being discharged as they ran from the scene. Police said that the masked men did not directly approach the armoured security van or the staff. Police said he is described as being 5'10" in height, medium build, light complexion with a round shaped face and straight hair. He was wearing a dark short sleeved shirt and short jean pants. Anyone with information should contact George Town CID on 9494222 or the confidential Crime Stoppers number 8008477 (TIPS). 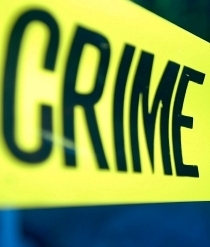 (CNS): Police have confirmed that they are now investigating the circumstances regarding a possible shooting at a house in East End in the early hours of Saturday morning. At about 8.25am on Saturday, 4 June, police received a report from a woman who stated that sometime around 5:00 that morning she had heard a noise that sounded like gunshots outside her home in Sea View Road, East End, and when she awoke later that morning she found a bullet outside her home. Sources tell CNS that the bullet was found close to the scene where brothers Bernard Scott (36) and Renold Pearson (48) were shot and killed in November 2006. Trevino Tennson Bodden (aka TJ) was found guilty of the murders following a trial by jury in November 2007. Bodden, who was 22 at the time of his conviction, is now serving life in prison for the murders of men who died from multiple gunshot wounds.